We currently have office buildings and collaborative coworking spaces located in excellent locations along Brickell Avenue, Miami offering shared workspace, executive office suites and private office rentals, as well as offices for lease, in a range of sizes and configurations. The space available is located in the heart of Miami's international financial community on Brickell Avenue, offering you one of Miami's most sought after business addresses in one of its most respected business district. With easy, short term and flexible rental agreements, your business will have all the benefits of being in an ideal location with an enviable business address in Brickell, Florida enjoying a wide range of support services and facilities. No matter what size your company is or what business requirements you have, we have an excellent selection of executive office spaces, furnished office space and smart spaces for rent on short term contracts as well as office properties for lease in Brickell, Florida. With a range of professional business support services and facilities included, the above listed Brickell office space is available to suit you. Brickell has a distinctive skyline with many office buildings such as the Axis Towers, Panorama Tower, SLS Lux building, the Plaza, Infinity Tower, Latitude One, and the Rise Towers at Brickell City Center. As a result, the most common type of accommodation is office space for lease or rent in high-rise office buildings. 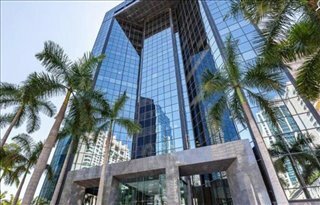 Brickell Office Space Rental Costs: This district is part of the downtown Miami market and has nearly 7 million feet of office space in Brickell Avenue alone. Average asking rates are slightly higher than the city's average at $45 / square foot / year, and over $50 for Class A space, making this market the priciest in Miami Dade County after Miami Beach and Biscayne. Coworking spaces are also available to suit the growing number of start-ups, with desk prices ranging from $200 to $500 / month (2017 data). Brickell Commercial Office Space Outlook: The market outlook is positive given Brickell's forward-looking business environment, and the fact that local authorities that have facilitated new builds and expansion bodes well for the local office market too. Many of the office buildings offering fully furnished and serviced offices and virtual office space provide manned reception, state-of-the-art print and scanning services, high speed internet, network wiring, telecommunications set up and office administration services. Most of the business centers also provide onsite IT support, meeting rooms, video conferencing, air conditioning, 24 hour access, onsite parking and other professional services and amenities. We would love to help you find and secure your ideal business premises in Brickell. Whether you're after executive office solutions, a virtual office address, desk space, collaborative work spaces, or business center space for rent we've got you covered. 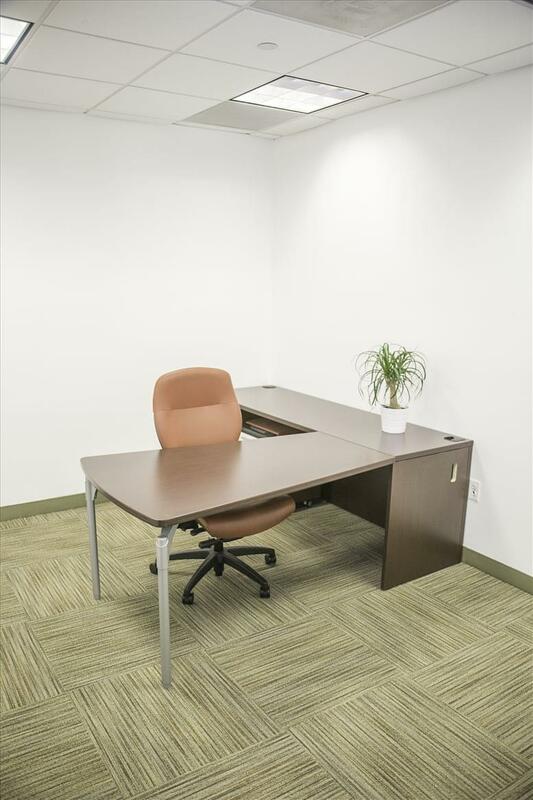 All of the office space listed on this site is in a prime location, and is available immediately, at affordable rental rates with flexible terms. Brickell is one of Miami's most well-known neighborhoods. Located immediately south of downtown Miami and overlooking the waterfront, Brickell has always been synonymous with wealth and a thriving commercial scene. In its origins, this area was mainly residential, but retail and commercial offices began to appear during the 1970s, turning Brickell into Miami's main financial district. Major Industries: This neighborhood has a high concentration of banking and finance institutions, to the point that the area is known as the Wall Street of the South. Real estate, upscale retail, hospitality, and entertainment are other important economic activities, as the neighborhood is a prime leisure destination within Miami, as well as a tech hotspot. Large companies like Wells Fargo, Santander, Chase Bank, JP Morgan, Credit Agricole, Uber, and Pan American Finance are based here. Labor Market & Employment: This area has a fast-growing population and approximately 13 percent of local residents have a college or university degree. Florida International University has a campus in the area and its graduates are known for their strong skills in business administration, psychology, and hospitality management. There is also a high percentage of the working age population fluent in Spanish. Overall, finance, insurance and real estate provide up to 17 percent of all job opportunities in Brickell. Brickell Business Suport: Local business can take advantage of Miami's status as the second most entrepreneurial city in the United States, with nearly 250 start-ups for every 100,000 residents. Another benefit of being based here is a beneficial tax structure that favors business growth. We also have industrial space, professional office spaces for lease, short-term and flexible office space for rent throughout Miami and commercial property in other cities throughout Florida. Call us and we will be happy to help you find your company's ideal office space.